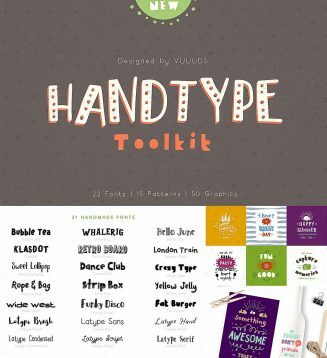 This pack contain 22 Handmade Fonts, 15 Patterns, 50+ Vector Graphics and 6 Beautiful Quotes Design. File format: .ai, .eps, .otf, .ttf for Photoshop or other software. 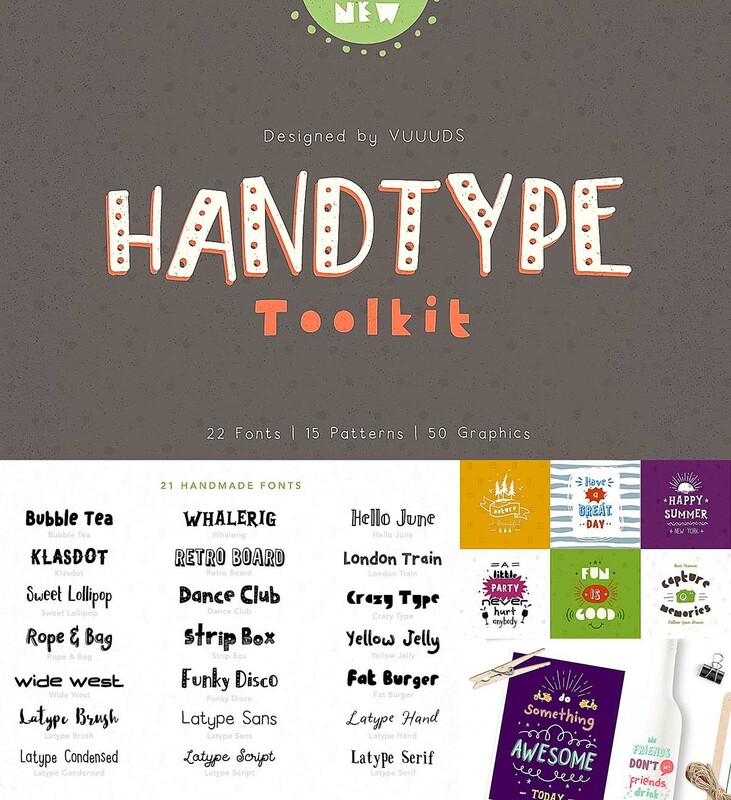 Tags: handdrawn, handlettering, pattern, poster, quote, retro font, toolkit.